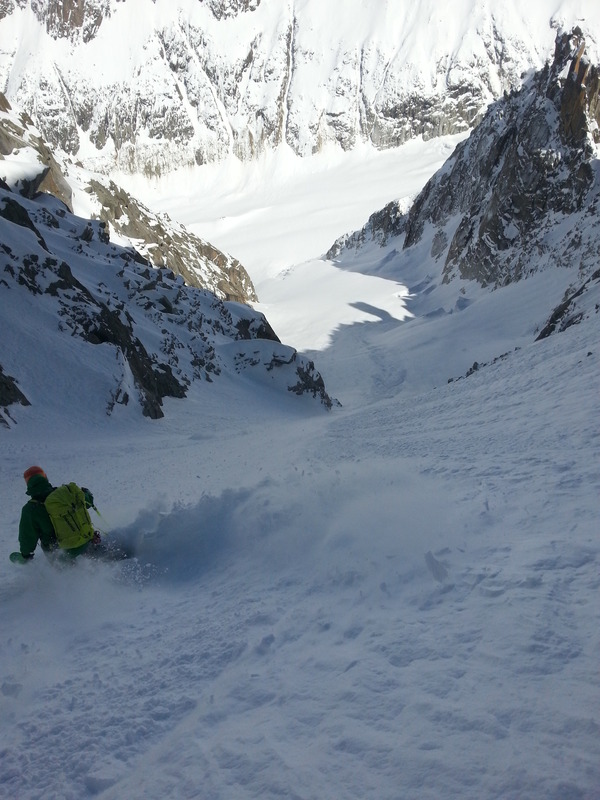 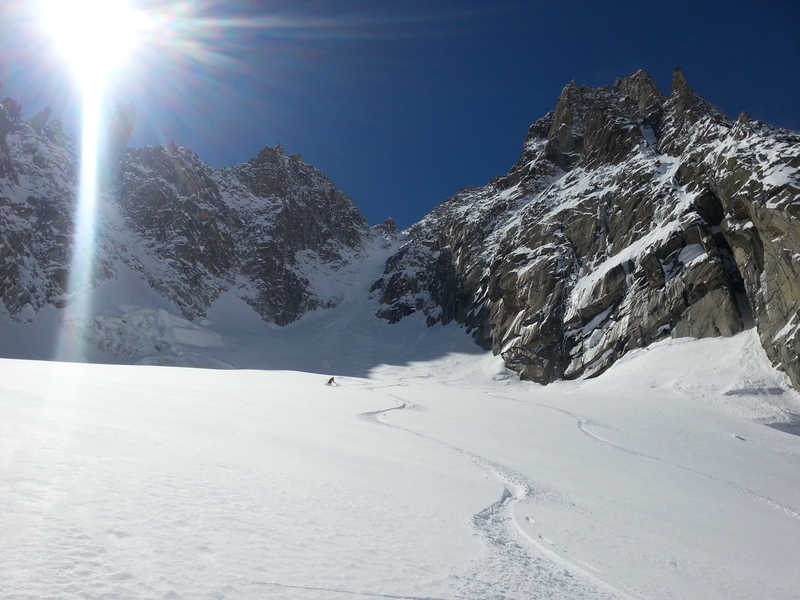 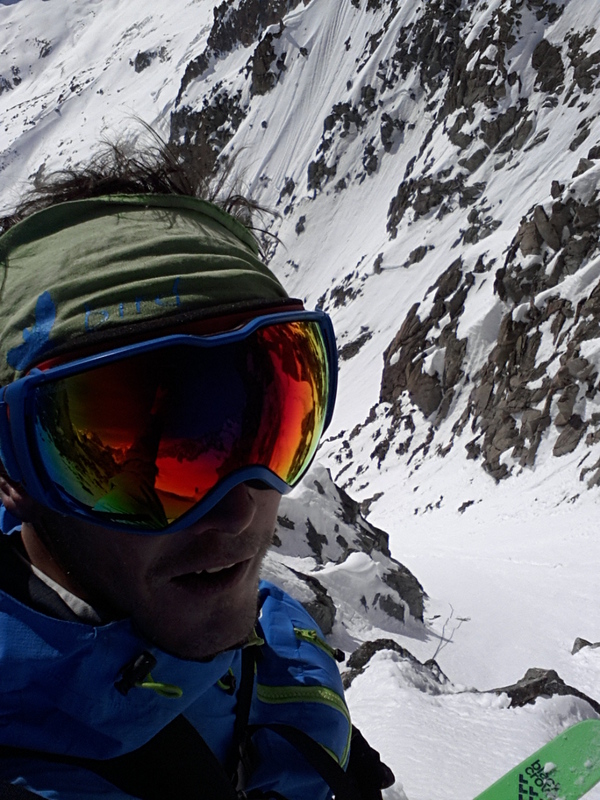 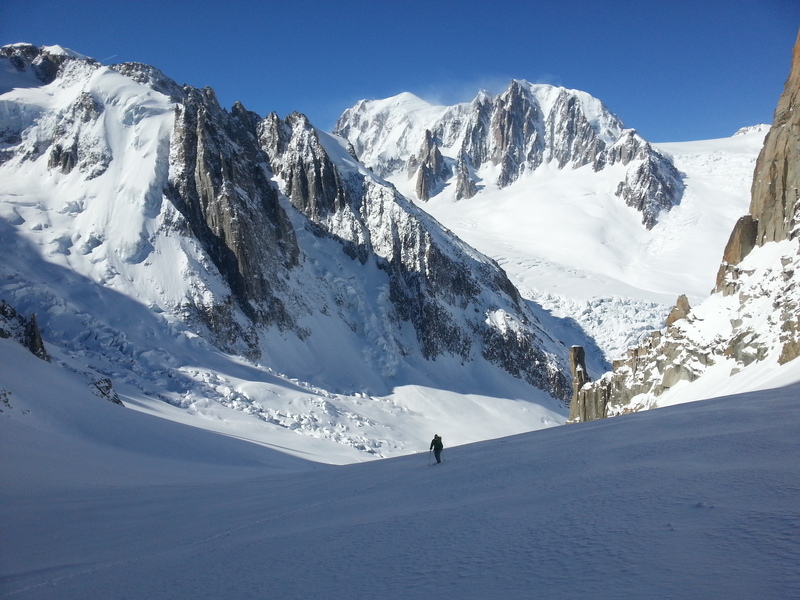 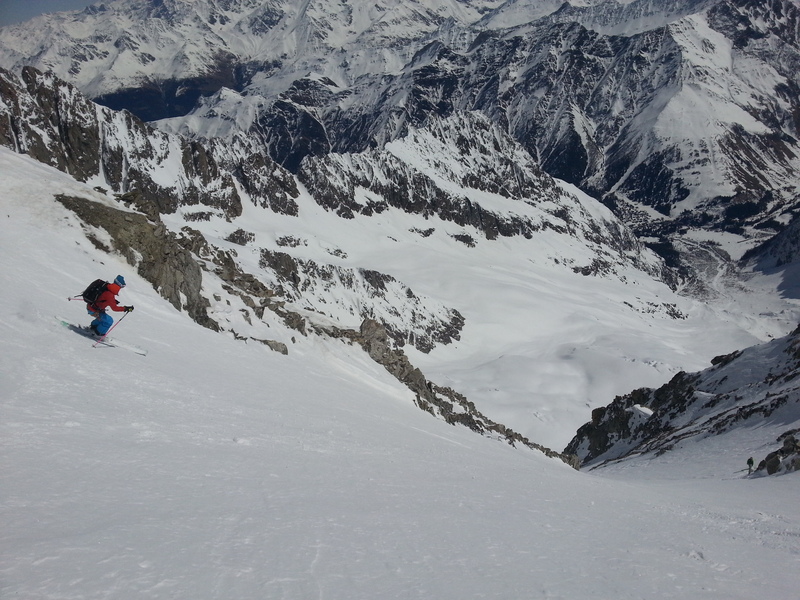 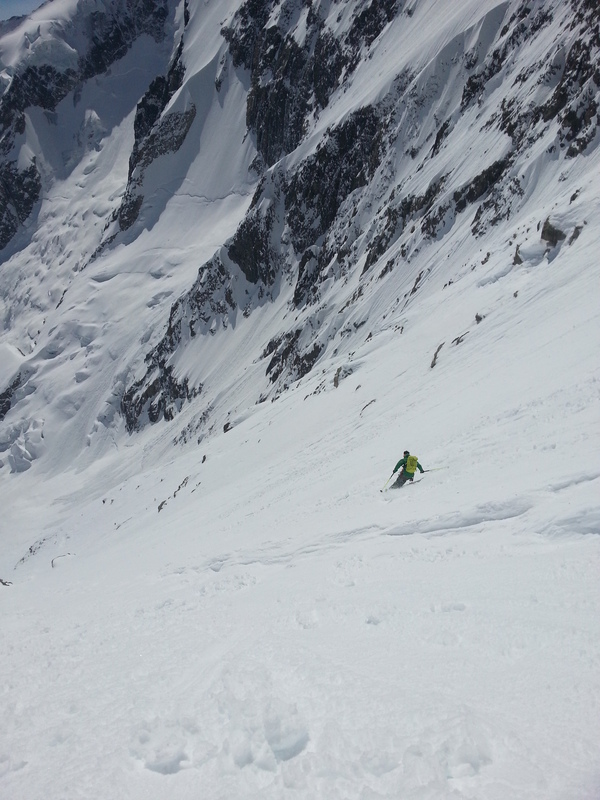 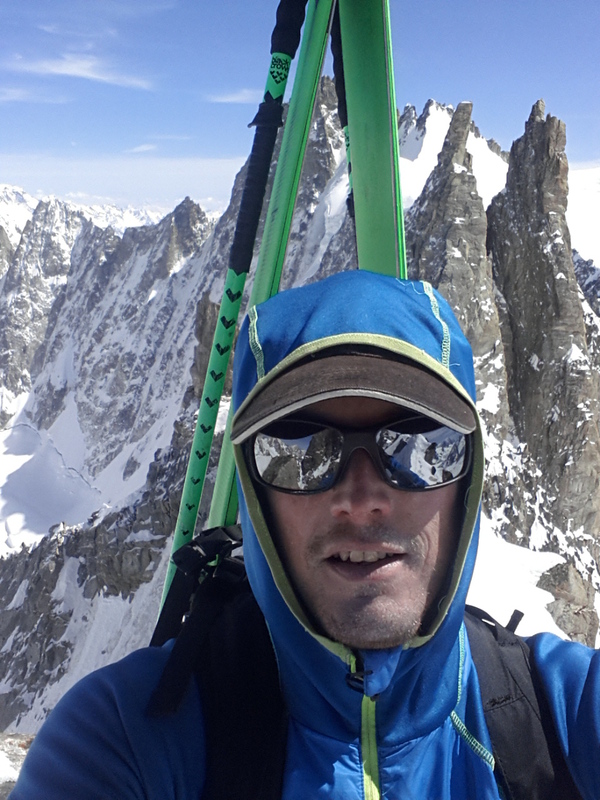 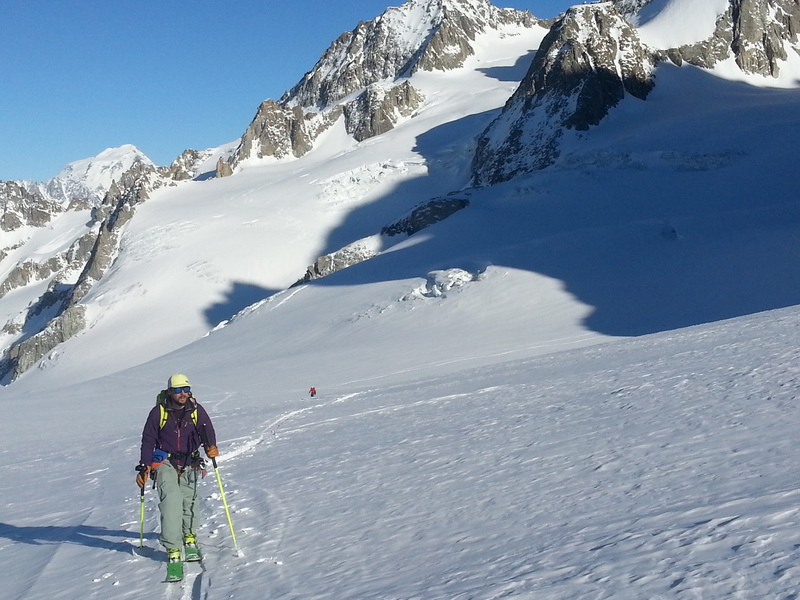 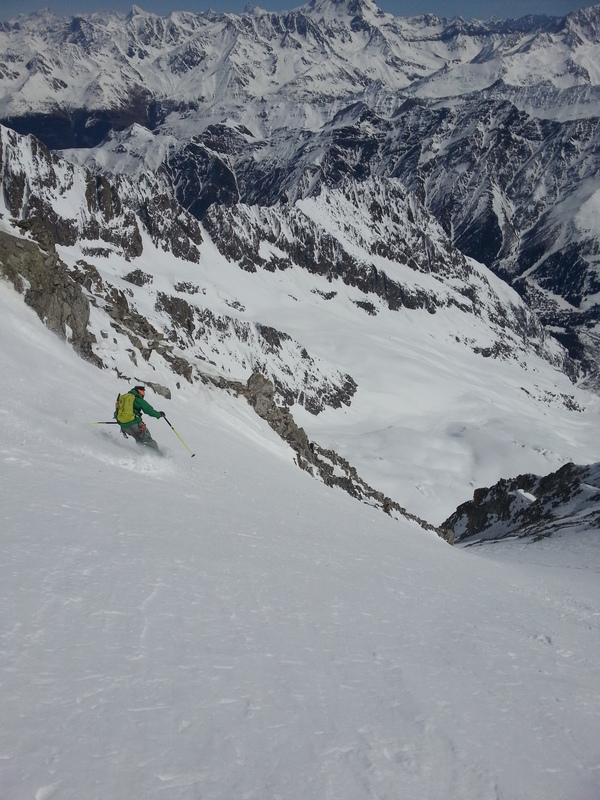 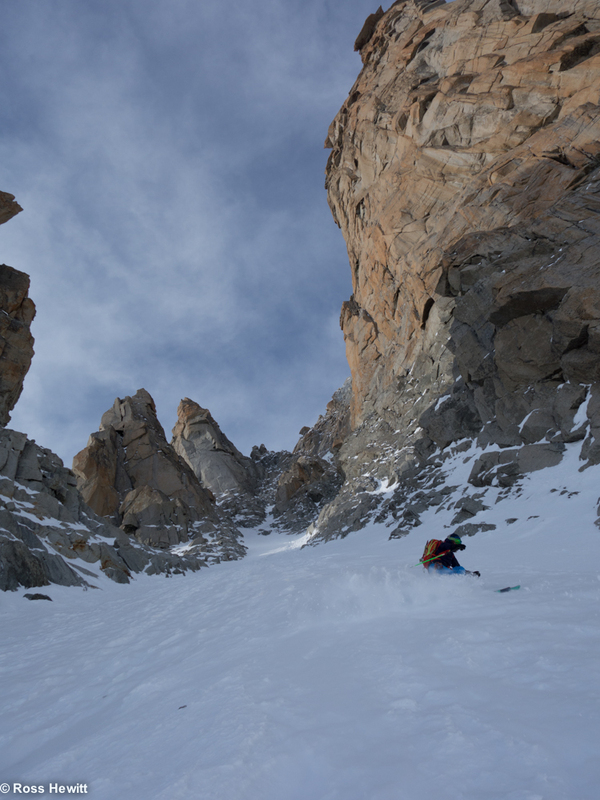 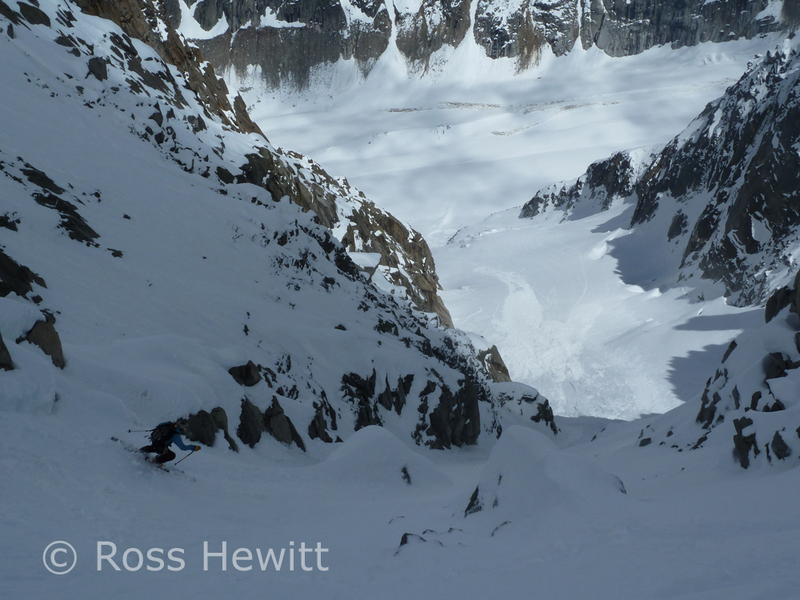 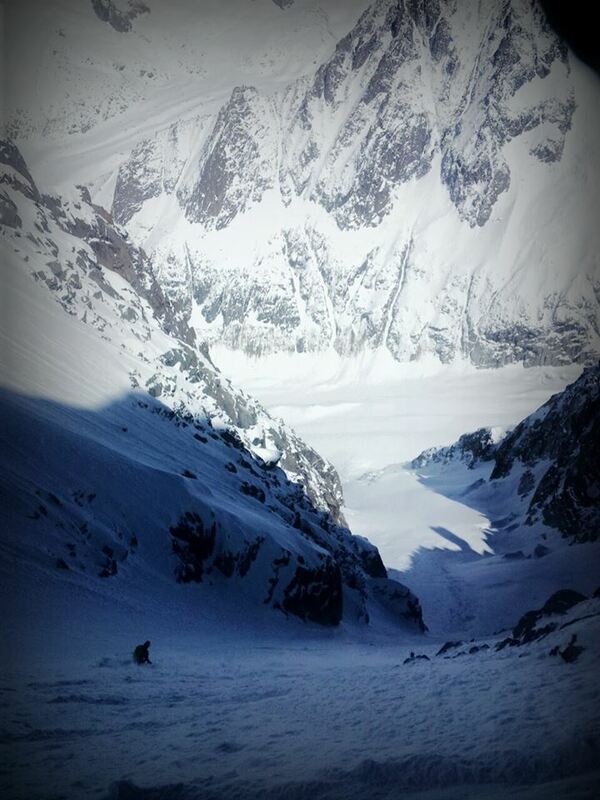 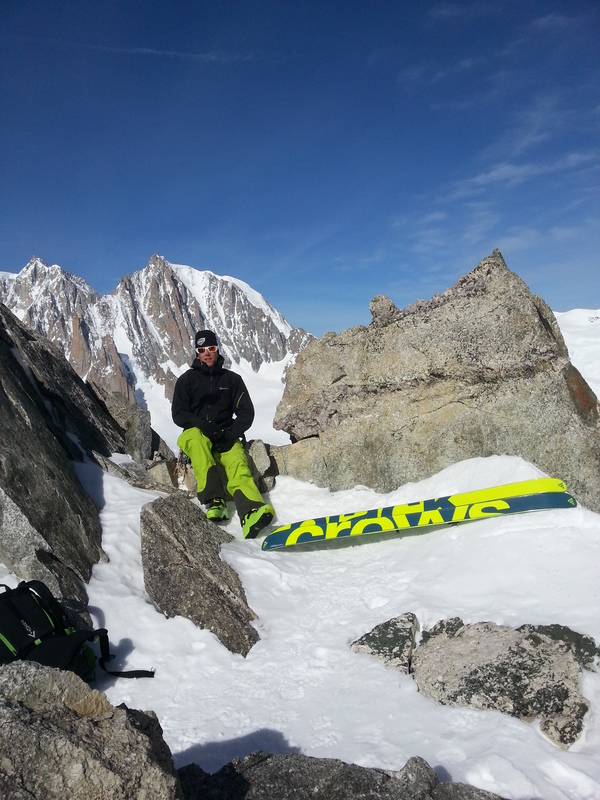 A quiet Sunday on to the Capucin couloir was what we hoped for, no stress from people behind & time to enjoy it. 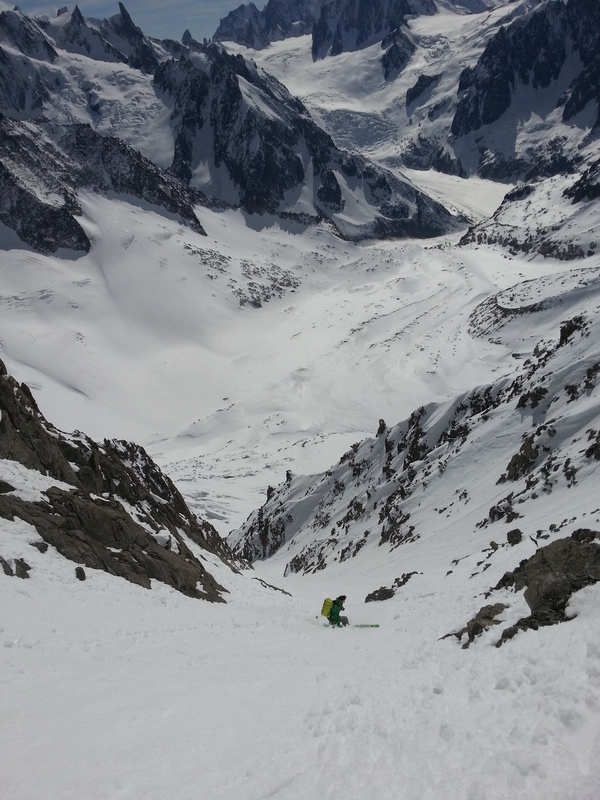 As I put the track in towards the Periades I looked over my shoulder and was shocked to see 25 people following! 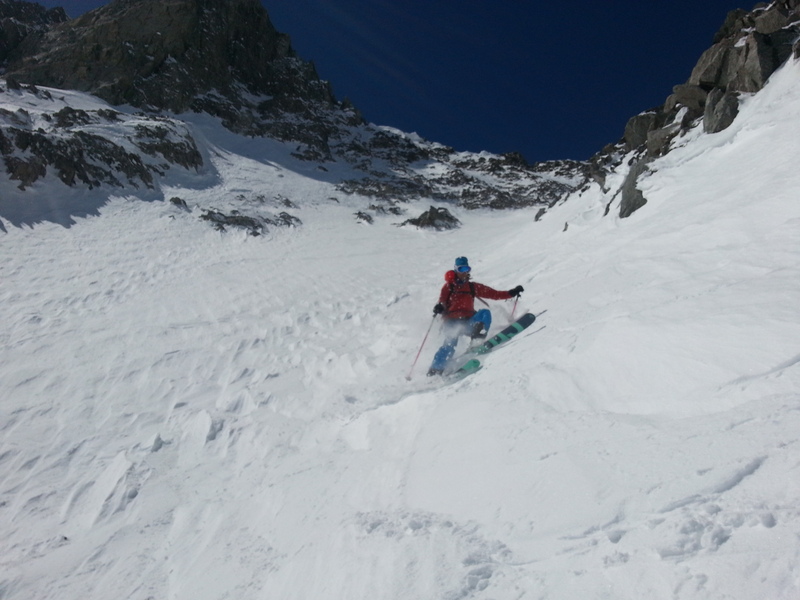 Fortunately they were only going for low angled pow and soon turned around leaving us to enjoy the mountains in peace. 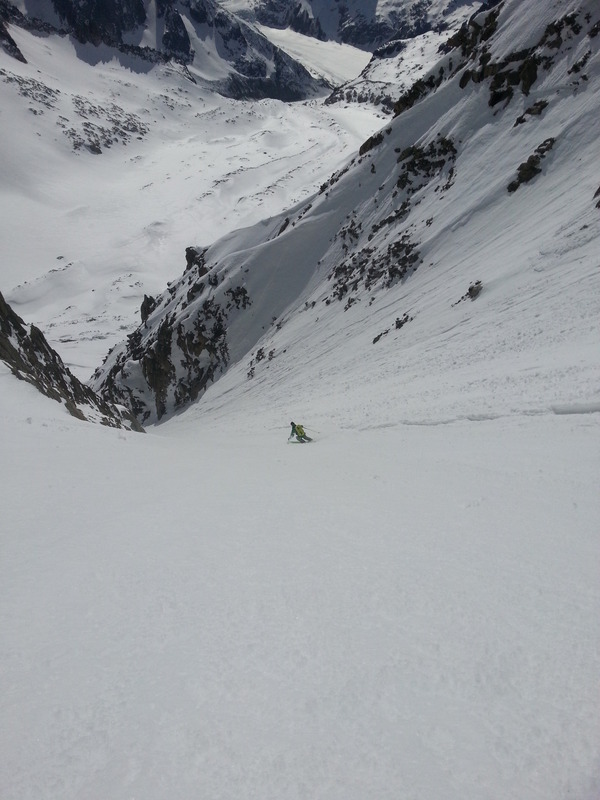 With all the recent wind I guessed the line would filled in but it was still amazing to see so much snow there. 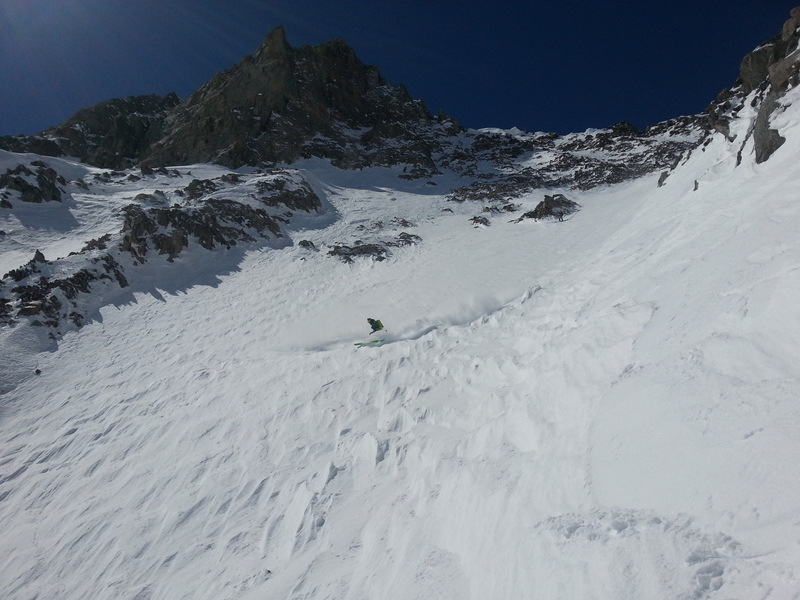 If I hadn’t been the first person in there this year I would have skied in form the col but I wanted to cut the slope while on the rope. 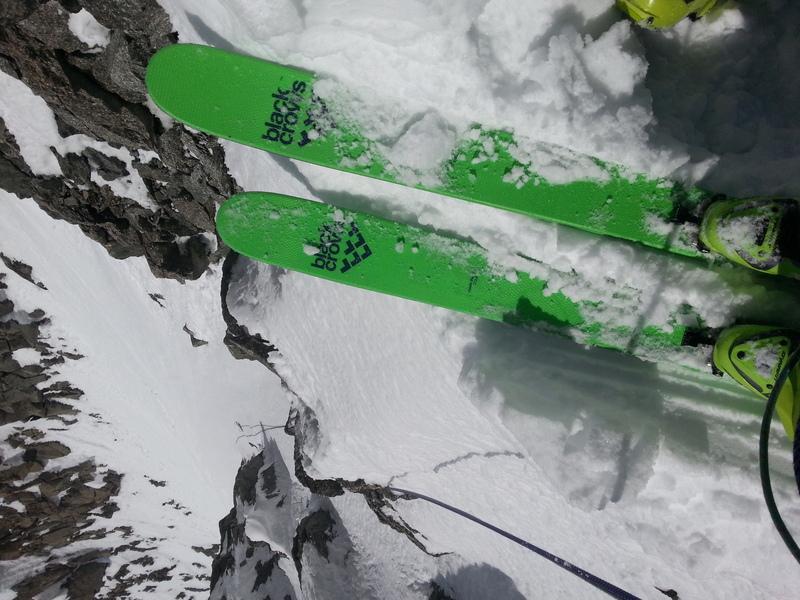 The uppers skied really well while the lower half on the bed surface was chalky. 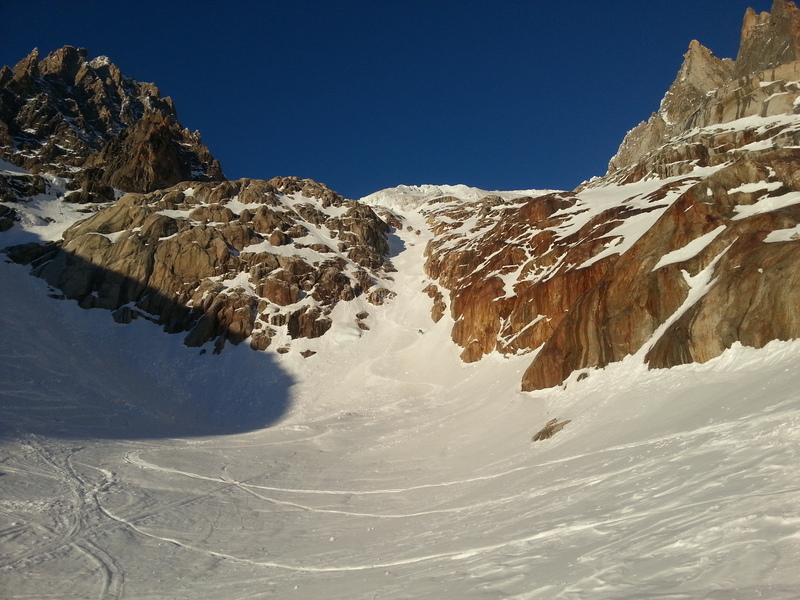 After the summer’s heat wave the glacier has dropped significantly providing us with the added surprise of a 30 m abseil to get out of the couloir. 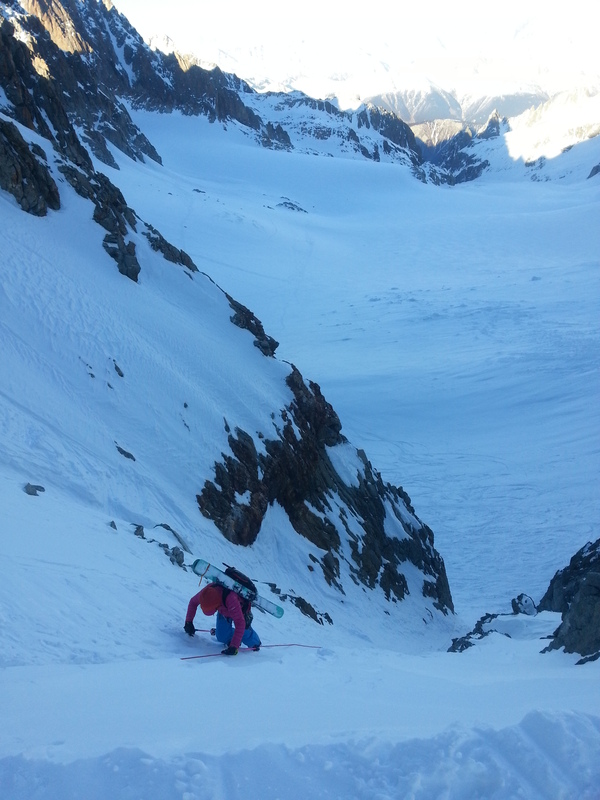 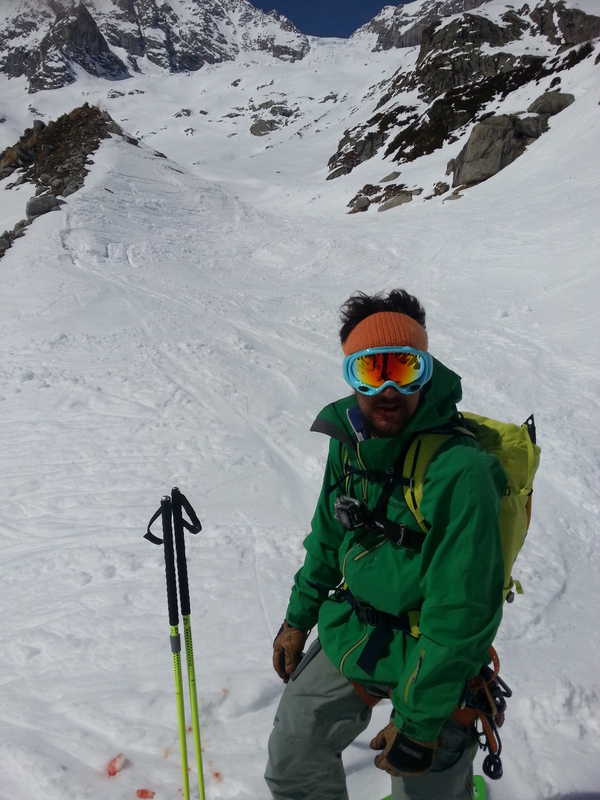 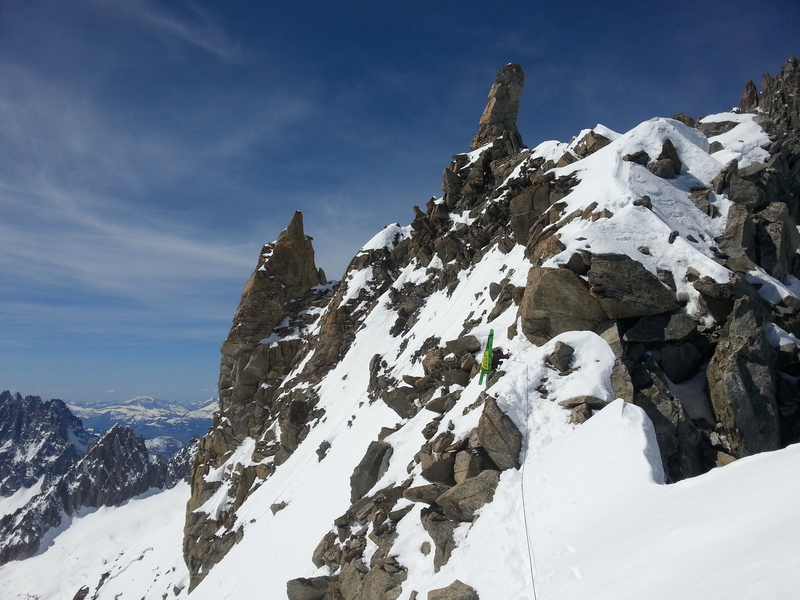 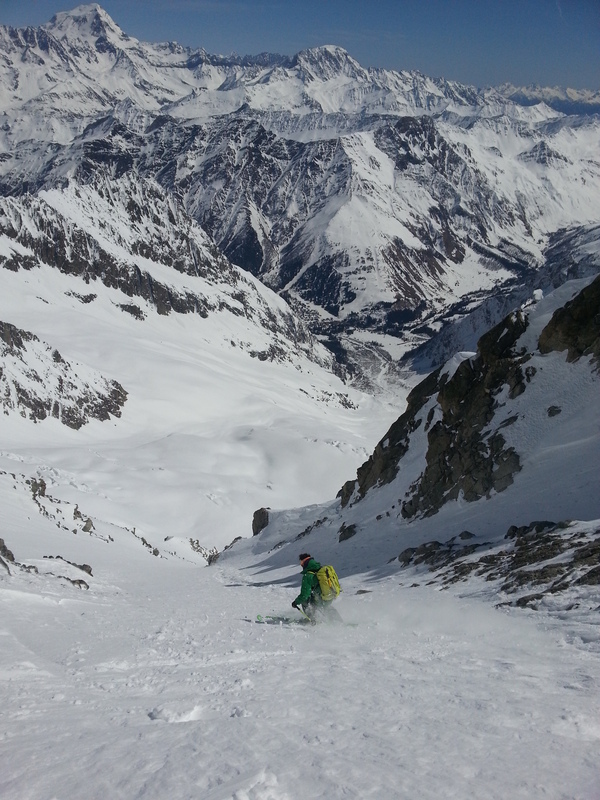 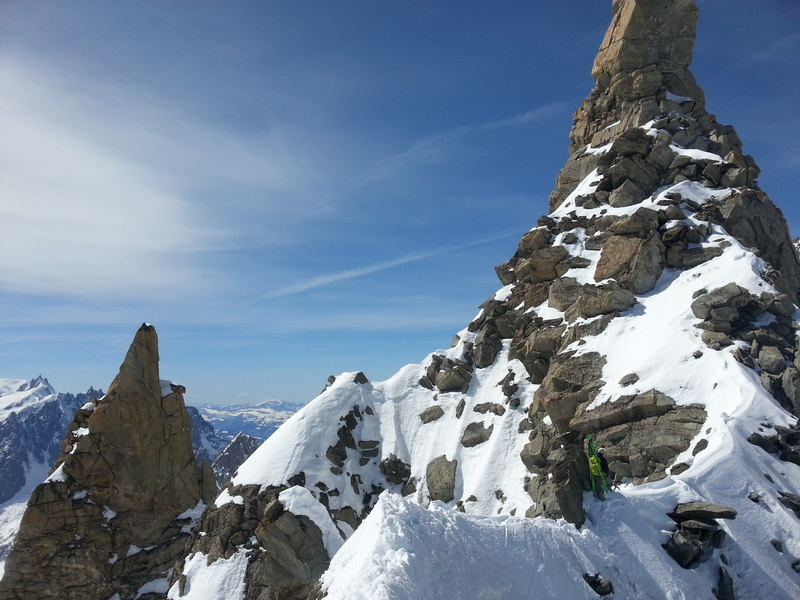 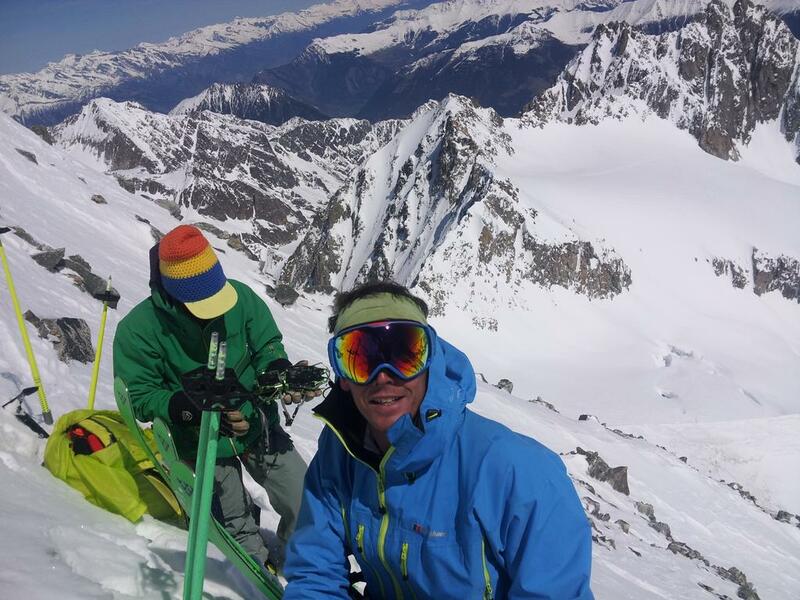 The latest reset on the Midi had everyone heading for the freeride zone in the Cosmiques and Rond. 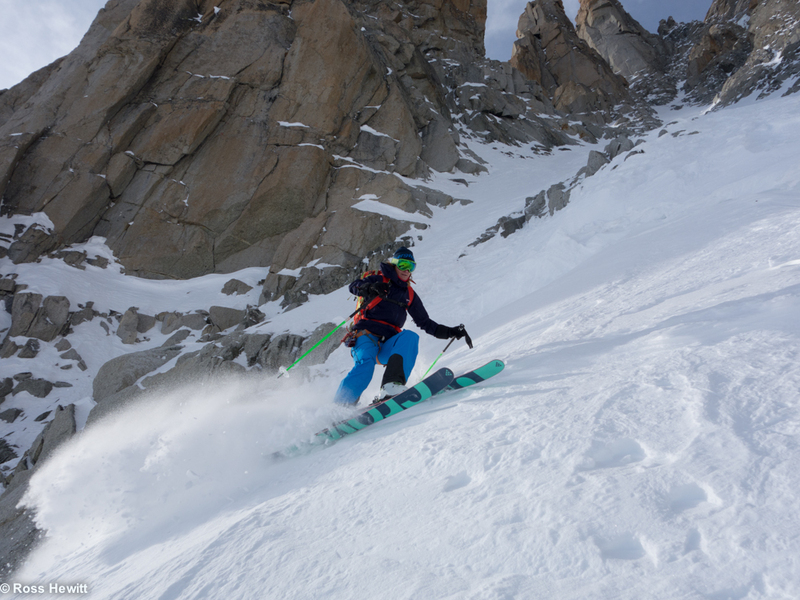 Will has shin splints and I needed some exercise, so we decided to go tour even though the train was closed with trees on the line. 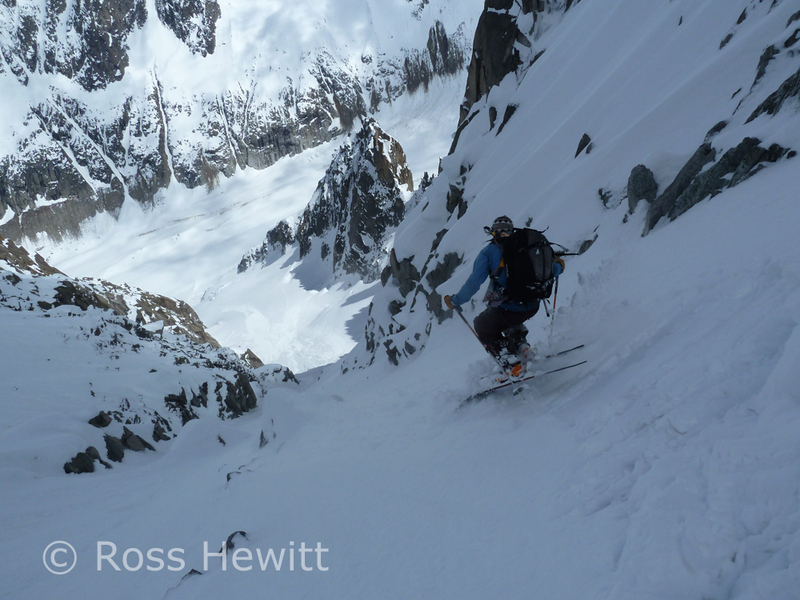 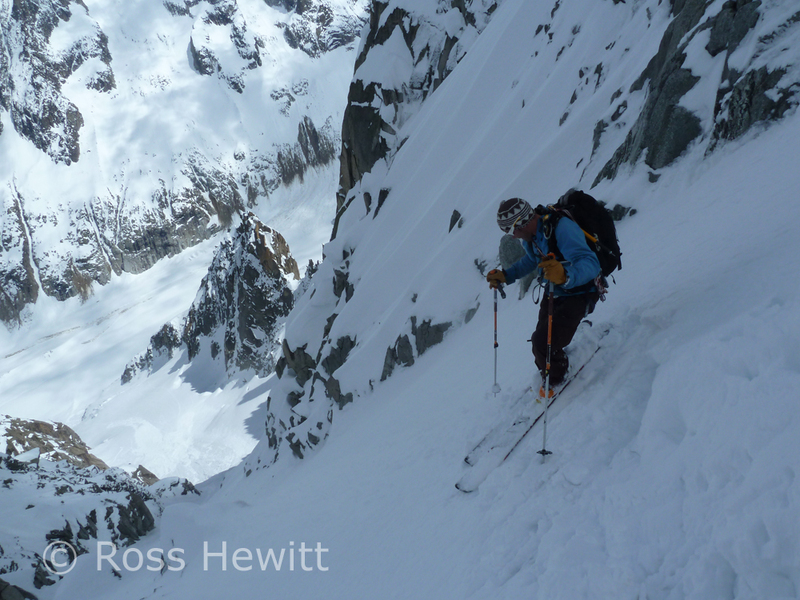 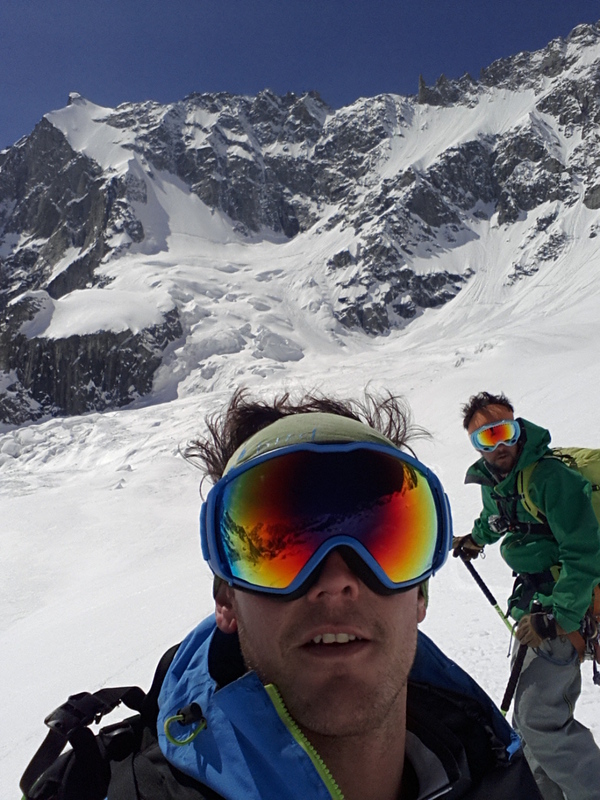 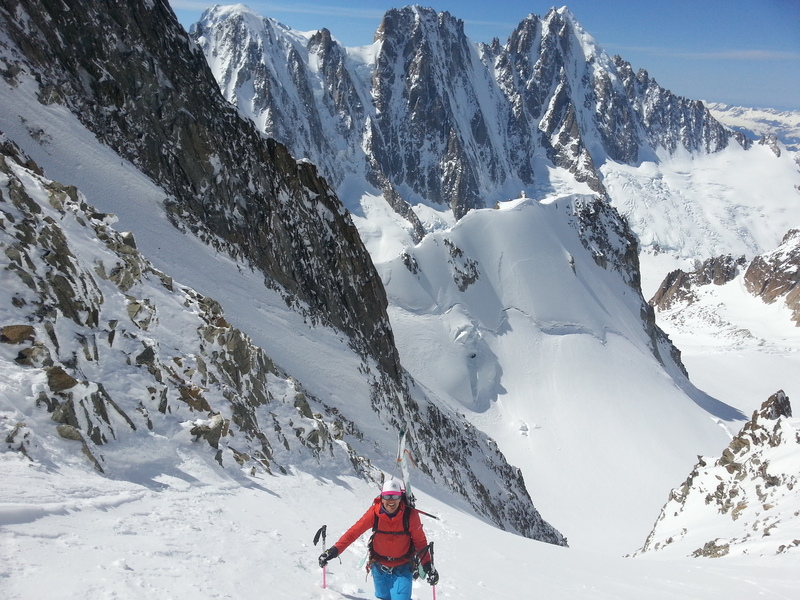 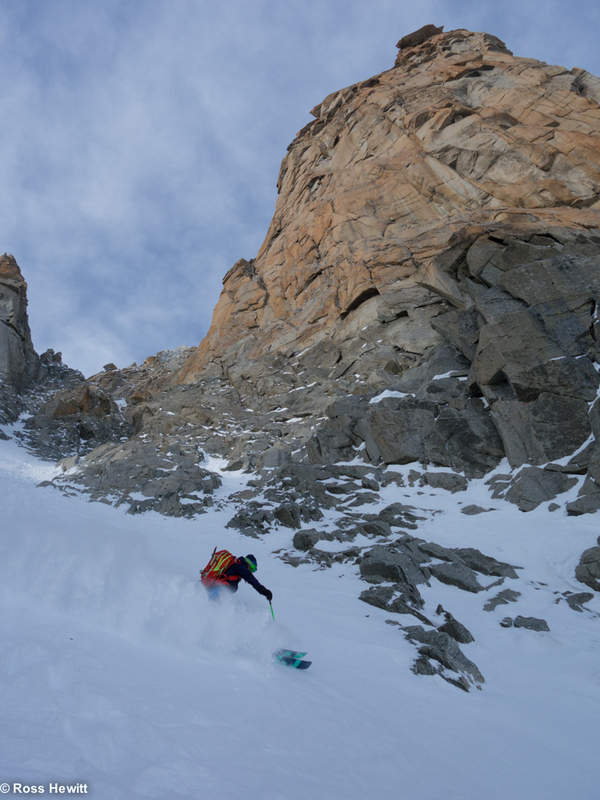 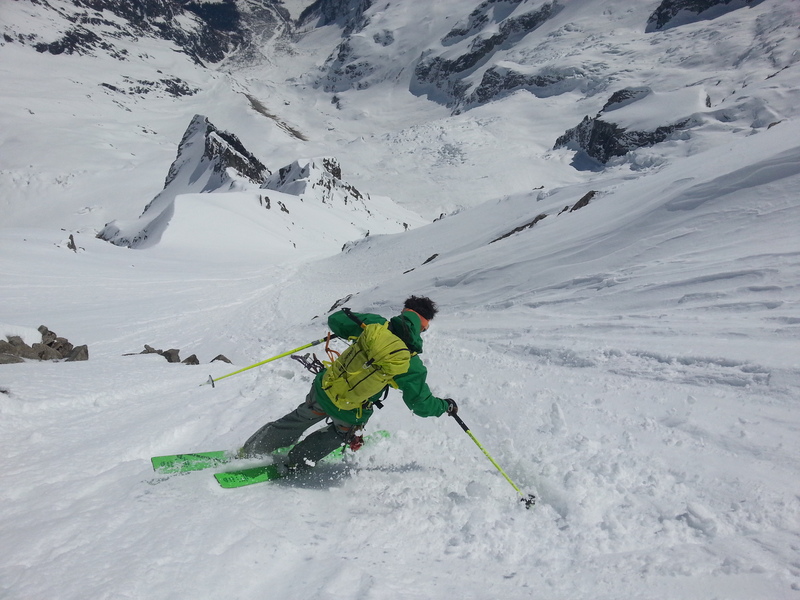 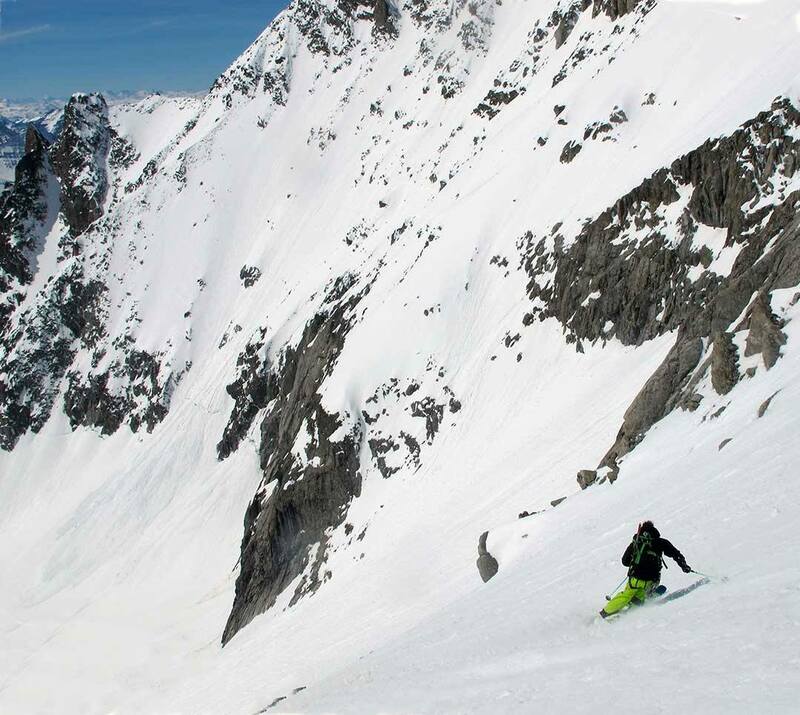 There wasn’t much snow stuck on the south side of the Midi Arrete, so we bailed on the Grand Envers approach and went for first tracks on the low angled pow on the Gros Rognan. 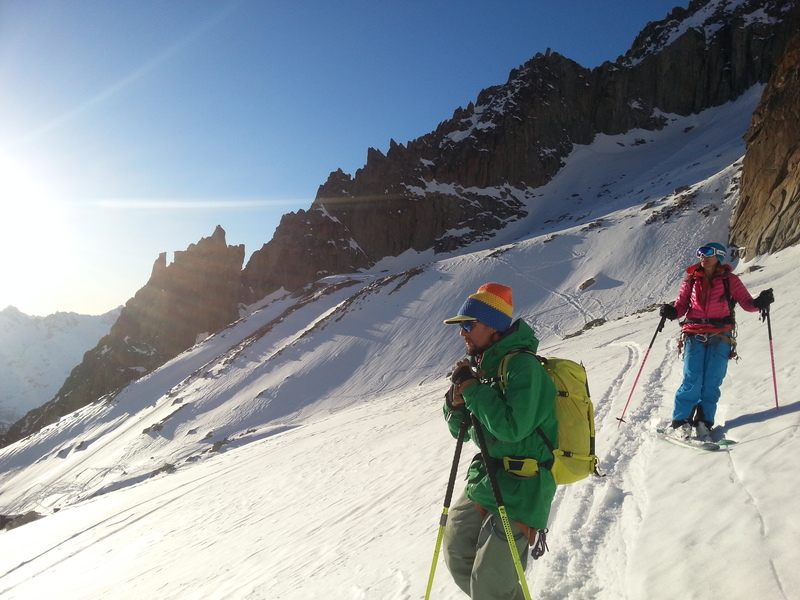 The snow kept changing with aspects and with it our minds on which of the 3 Tacul tours to do. 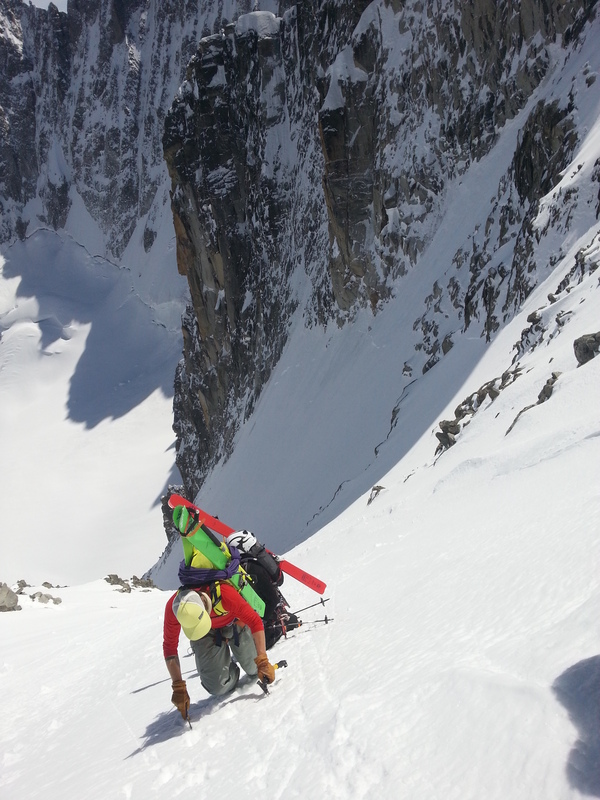 Finally deciding to go to Breche Tacul we got to 50 m from the ridge and were falling into holes in the unconsolidated wind blown snow. 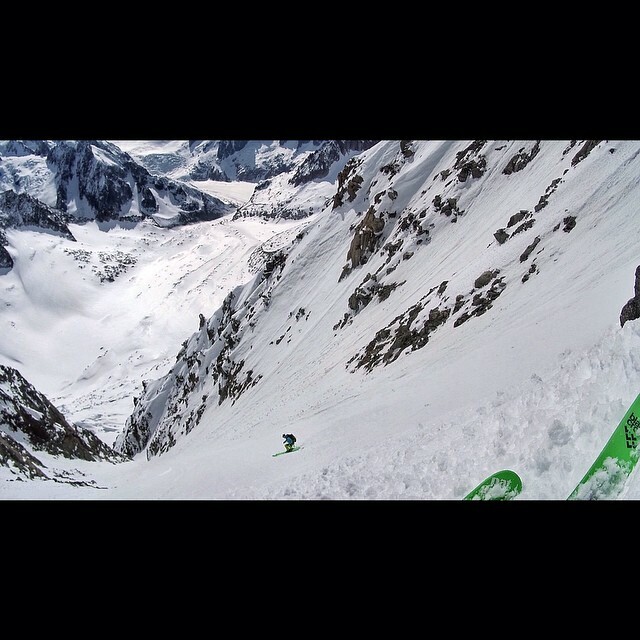 That decided it – Capucin. 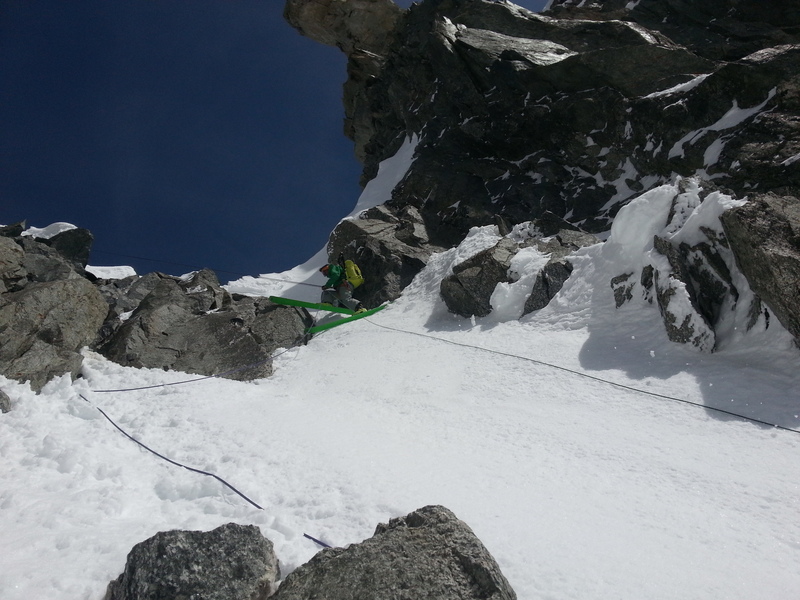 At the Col I could push my pole completely into the snow and not touch rock. 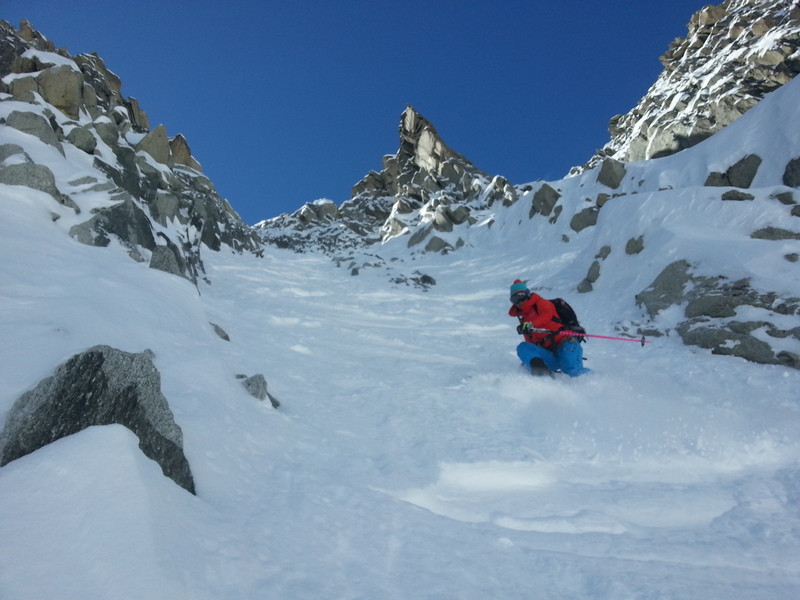 Finding the anchor required a lot of digging with the showel! 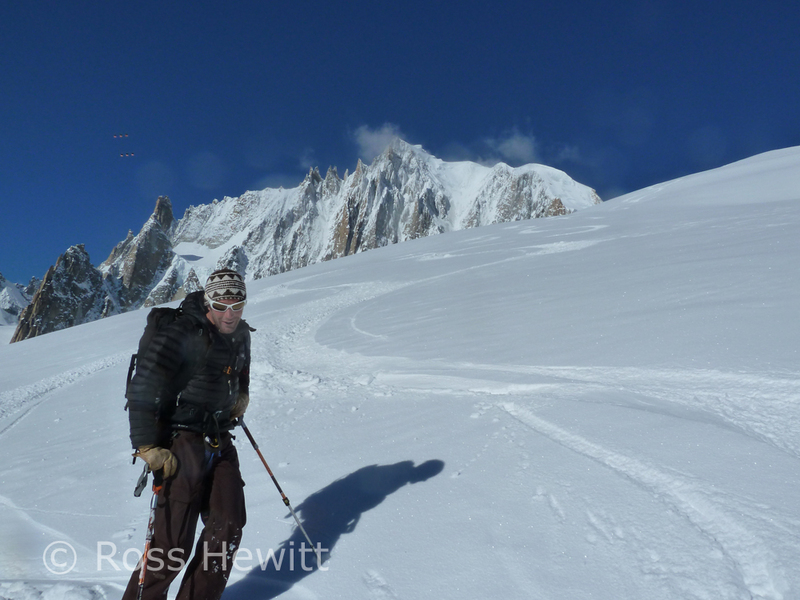 There was some good cold snow down the right side which we hugged tightly to avoid sluff activity coming of the sunny side on the left. 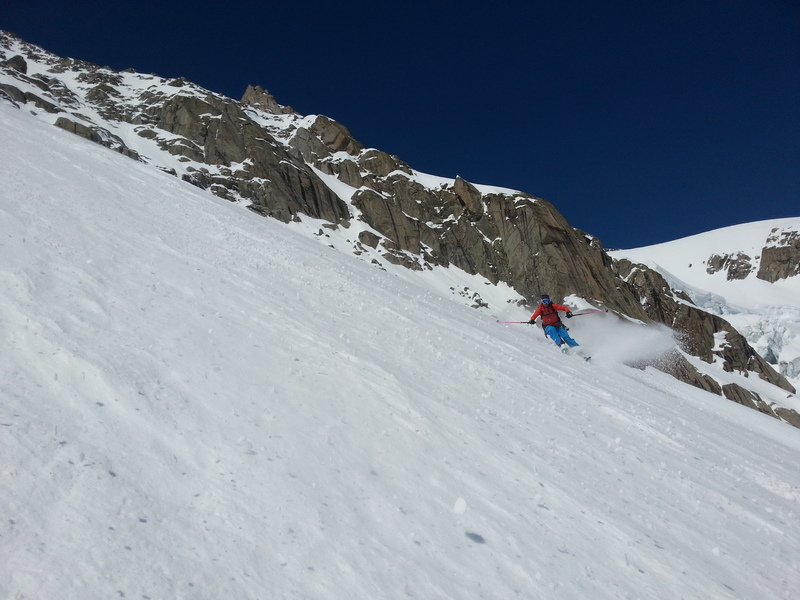 The skiing was fun and it was great to be out in the mountains after such a long period of unsettled weather. 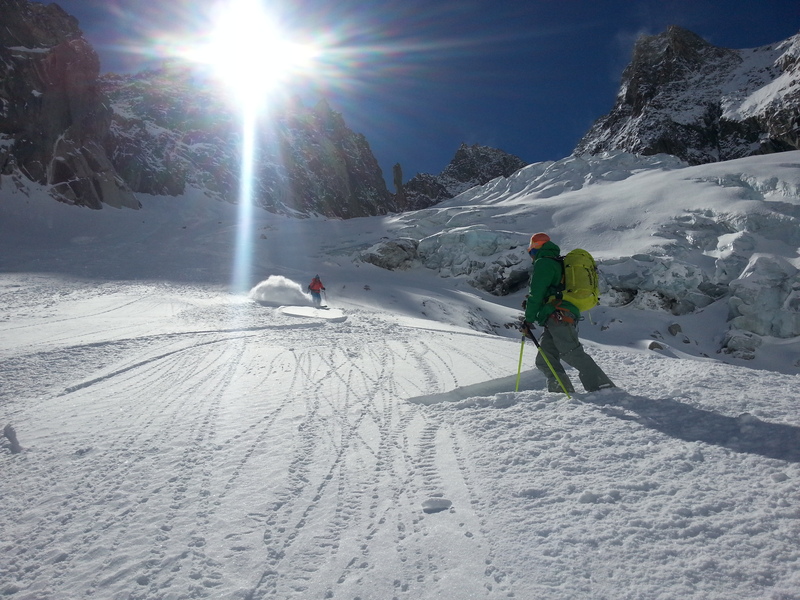 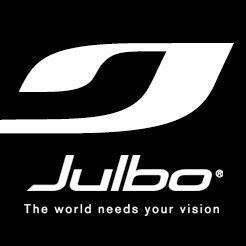 Thanks also the American team behind for waiting and not sluffing us out. 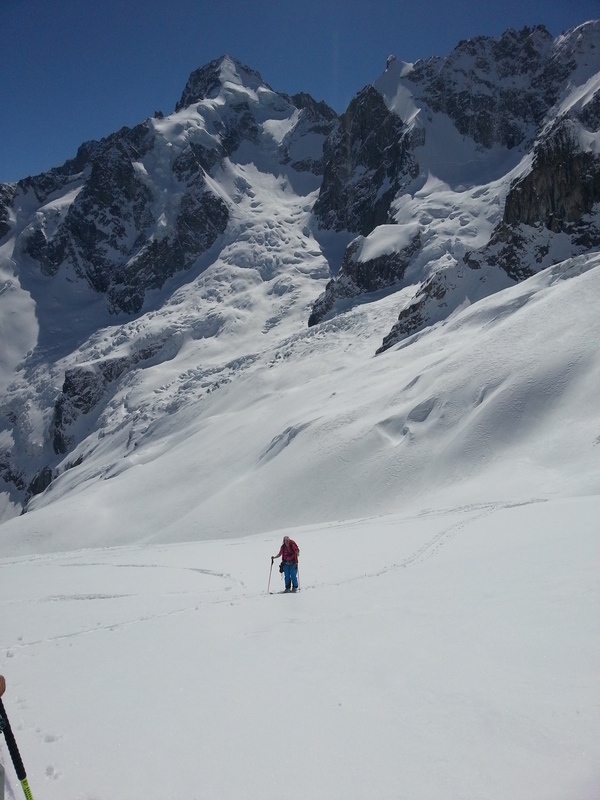 After the walk down to Chamonix it was definitely beer o’clock!